Baby, the female main character, develops a crush on the resort's dance instructor Johnny Castle, leader of the working-class entertainment staff. 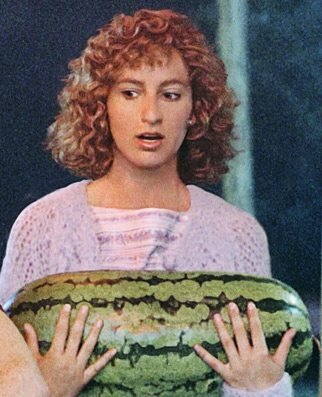 When she, while carrying a watermelon, is invited to one of their secret after-hours parties, she observes the "dirty dancing" for the first time. In a blender, combine the watermelon, sorbet, and lemon zest, blending until very smooth. Stir in 1 1/2 cups cold ginger ale and simple syrup; cover and refrigerate until very cold. Serve over ice and garnish with watermelon wedges. Love that movie... great idea for a linked drink! 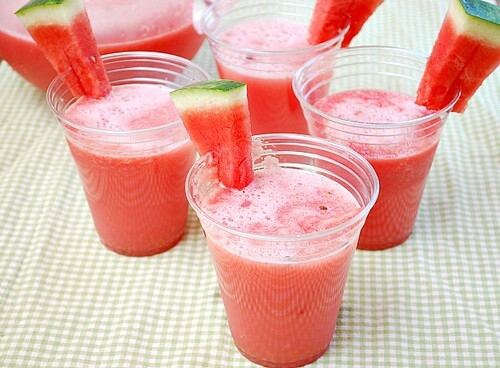 Watermelon Coolers recipe is colorful and it is looking really good. 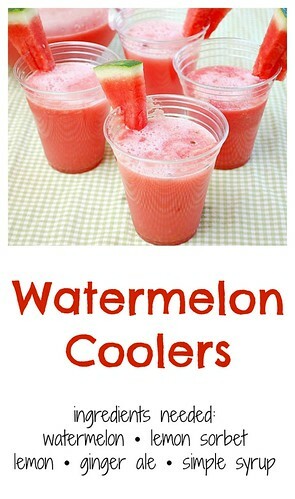 Here more Coolers recipes are giving you and easy to make these all drinks.